Discussion in 'General Sports' started by Zososoxfan, Sep 25, 2017. Hello all, I bought my Epic Local pass a few weeks ago and am gearing up to make my trips for the winter. My plan is to take the fiancee on her first ski trip to Park City for a few days then head to Cali with the boys to get the real riding in. Plan is to do Kirkwood for 3 days and then the monstrosity that is Heavenly for my bachelor party for 4 days over MLK Weekend. 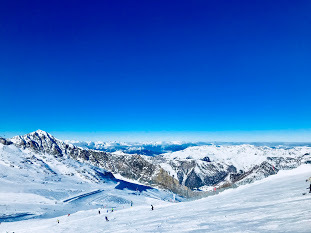 Where are you planning to ski this season? Any new gear? Let us all do a dance and make a sacrifice to the snow Gods, the old and the new, and pray for them to bless with plenty of the white stuff (no, not that white stuff). Hoping this season is as good as last season. I've got two kids in the race programs at our local mountains, and working on getting the third kid onto some blues and blacks. We'll also be at Mammoth before Christmas and whenever I get a chance to storm chase. Might also meet friends in Utah over President's week. I'm getting a new backcountry setup and making my tick list for the year, but that's more of a spring thing. I did see that people are already skiing fresh snow in Oregon, though. 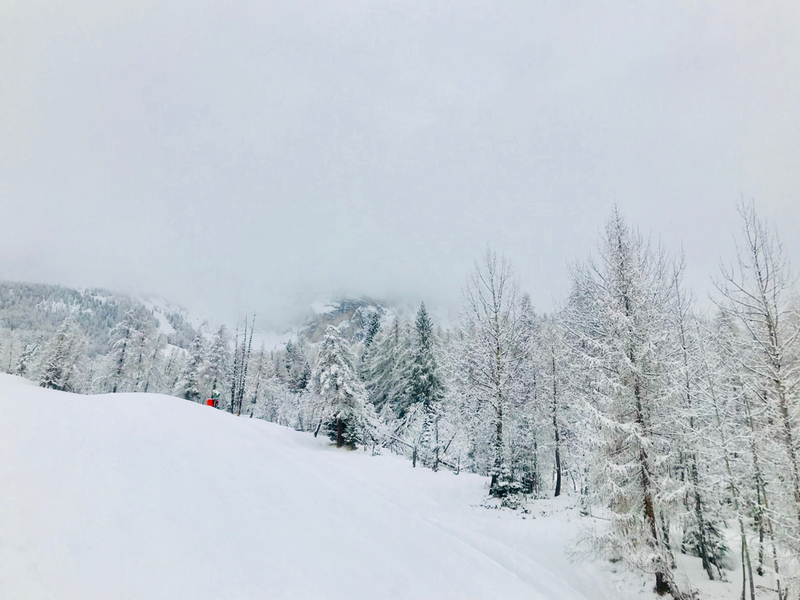 We're looking to buy the max pass for Sugarloaf and Sunday River - thinking we'll make a week-long trip to Crested Butte too to seal the deal. 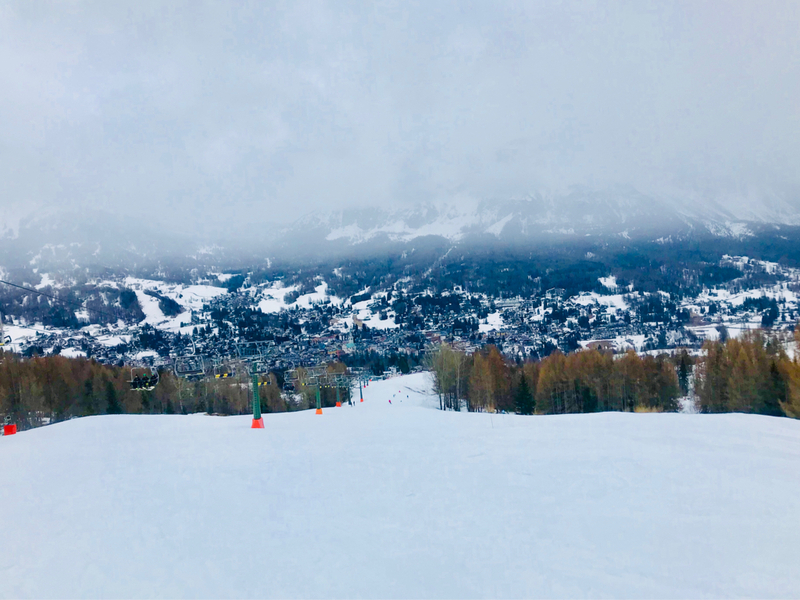 Third winter back on the east coast after 20 years in CO, and I'm finally getting used to the difference (I bought a pair of 95mm underfoot everyday skis too!). We skied Big Sky for a week last winter, that place is unreal and I will absolutely go back at some point. Let us all do a dance and make a sacrifice to the snow Gods, the old and the new, and pray for them to bless with plenty of the white stuff (no, not that white stuff). Just got back from the shop with my new tech setup and Mammoth is getting 30-50 inches tonight and tomorrow. It is on. Park City ended up being too expensive and difficult to get to for a short trip from Florida, so we ended up booking Vail instead. Hotels were sparse, but I found a deal for a yet unopened badass hotel in Cascade Village called Hotel Talisa. I'm hoping it opens on schedule tomorrow (was planned to open last winter season, but apparently they weren't even close). If they don't open, I'm SOL and will have to plan something else. 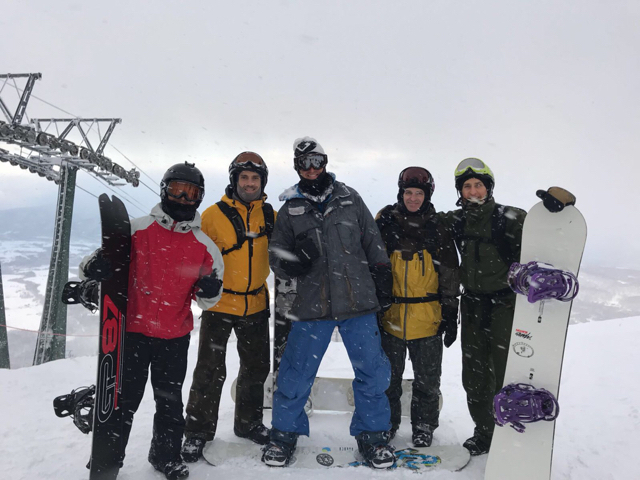 The hard charging crew is set to hit South Lake Tahoe for 7 days (likely 6 riding) split between Kirkwood and Heavenly. I got a new deck that I'm itching to try and I'll get a photo of it up soon. The last deck was only my second, and probably had close to 10 years on it. 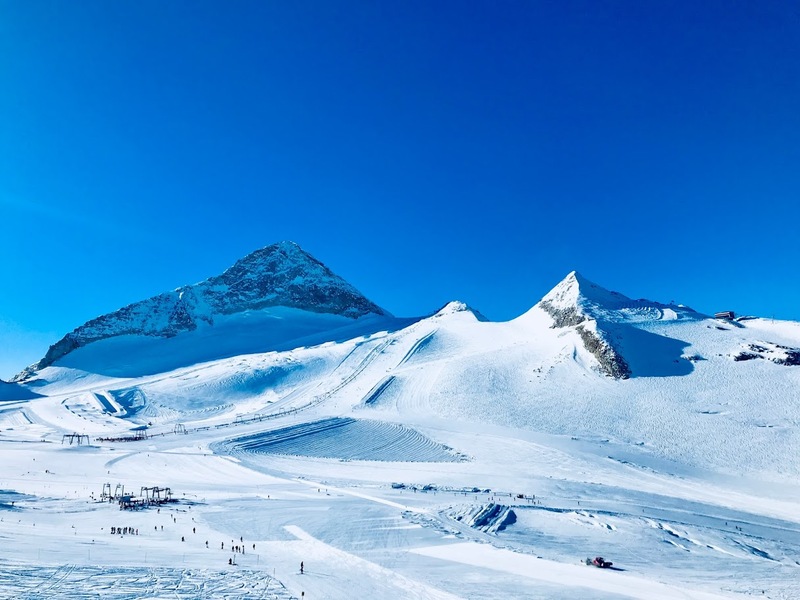 Headed up to Hintertux, Austria on Friday to hit the slopes for the weekend. It's part of my National Ski Patrol training program so it's not going to be all play. If I end up making it all the way through this year, I should be skiing somewhere at least half the weekends between now and when the snow melts. 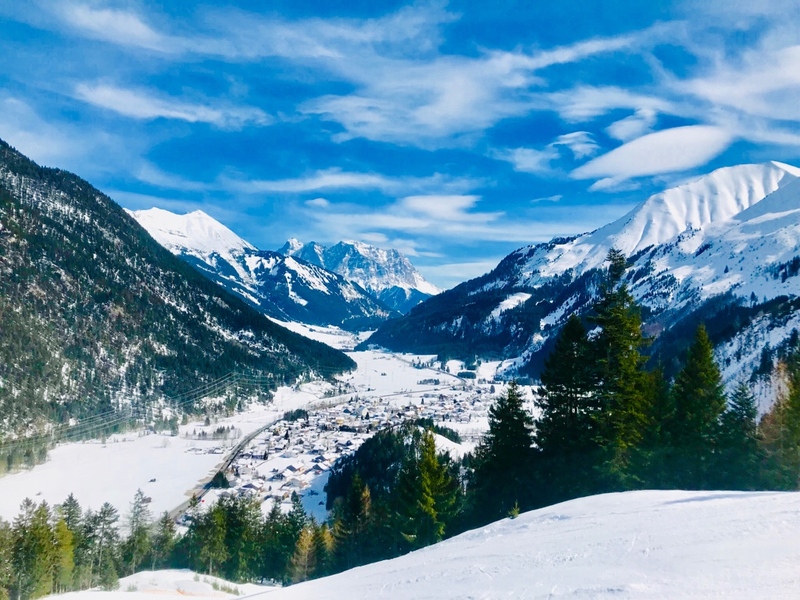 This is my first experience skiing in Europe so that's pretty exciting. That's a cool trip. How long is the training there? I started taking classes in August (every Wednesday night for about 3-4 hours). They lecture for a couple hours then we take a quiz on the material and then practice hands on skills. I’ve already passed the written exam so I just have ski evaluation/toboggan training and then hands on scenarios to complete. The Patrol here is part of the European division of the National Ski Patrol back in the states. So it’s all the same training and qualifications one would receive stateside. So when I get back to the states I could patrol resorts there. Day 1 on great wind buff with quite a lot of coverage. Olaf was ripping it up as well. 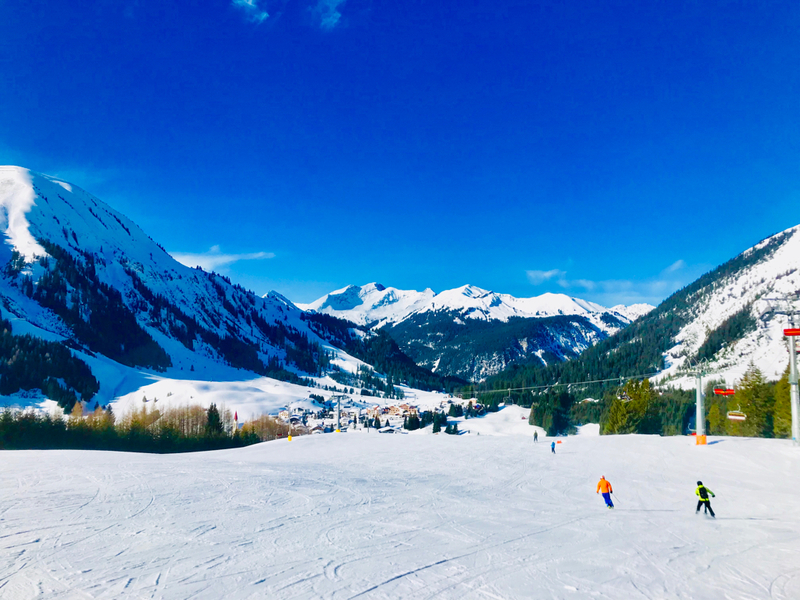 Great conditions on Saturday at Hintertux. 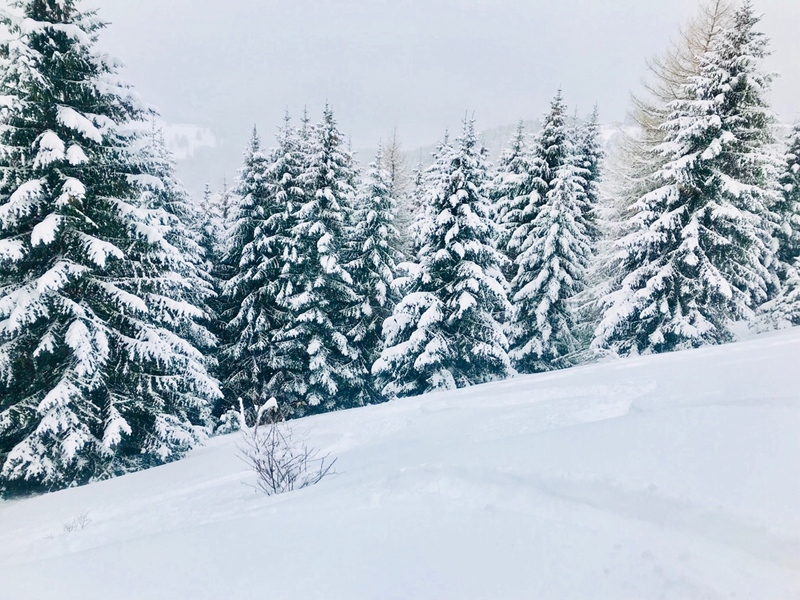 Snow moved in over the night and the conditions looked like they could be near white out at the top of the mountain and I was worried about getting stuck in the Brenner pass on the drive home so we decided to scrap Sunday. Turned out we could have gotten in some pretty good runs in fresh powder in the morning as the pass was clear when we drove through. Oh well. I got home early so the wife appreciated that. Headed up to Garmisch, Germany today via train. Snow has been getting deeper the further north I’ve travelled. Hoping for some fresh powder on the mountain. Testing out some skis I picked up last weekend. 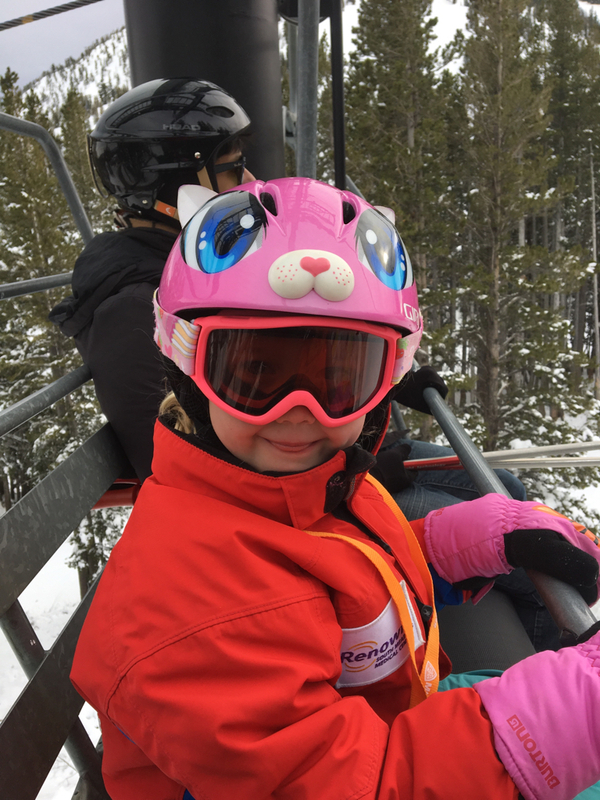 A question - I've got a beginner snowboarder 12 year old. He's gone 8-10 times over the years, had some lessons. Going to Berkshire New Years weekend. 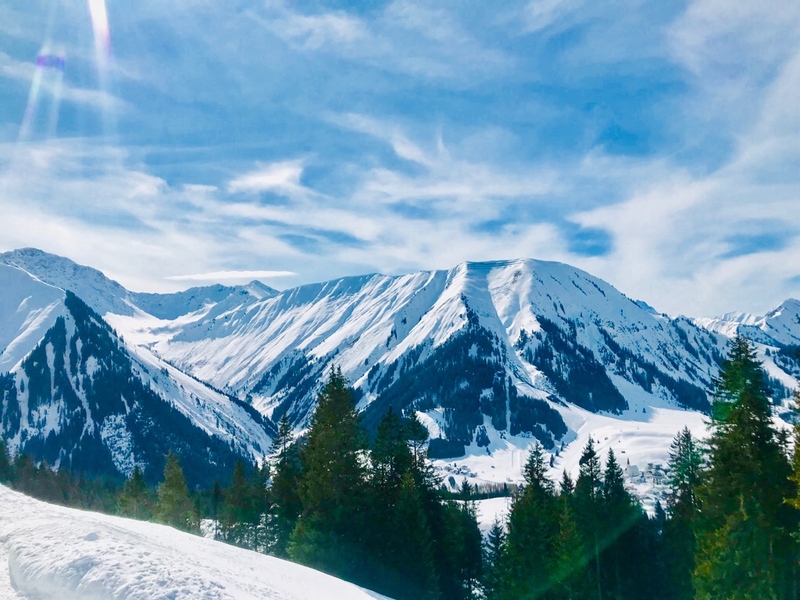 What ski area would y'all recommend in that area for a beginner of his experience? Closest one to where we are staying is Bousquet. I'm not a skier at this point. Days three to five look ok (no clue what wind is forecast), but days one and two may turn off my kids (6 and 8 yo). Oldest is in the ski program so we’ve already been up 5 times this year (guilt free)! Hoping for some snow, probably not until the new year though. I would not take the kids out in those temps unless it is sunny with no wind (not likely). Kids can’t easily stay warm and frozen feet/hands/other is a terrible experience. Even on the days in the teens, keep asking if they are warm and go in too early rather than too late to warm up. I've been out as low as -30 at base, -40 at top. Almost lost an earlobe one run where I didn't adjust the 180s properly. My advice would be (1) every time after you get off the lift, ensure that every inch of skin is covered up, particularly around the ears and neck, and (2) unless you have the electric boot heaters, which for kids would be a little over-the-top, you should go inside every 2-3 runs to warm up - including taking off the boots and getting the toes mobile. This may mean you need a few spare pairs of ski socks for each kid because the feet will sweat when they're out. But it should keep you from a miserable or dangerous experience. Also, on the plus side, the slopes will be empty and the lift lines nonexistent. Would love to scrap this trip but everything is non refundable. Wife pushing to just eat the cost. That’s great news. I was really feeling for you. Skiing with kids, one of my rules is to never let them get as cold as my dad let me get. I’m convinced the numerous -10, -20 days I skied in Vermont permanently damaged the circulation in my feet. Not worth it. AAARRRGGGHHHH I am on the shelf this year after nailing my ACL and medial meniscus at Gunstock in March. 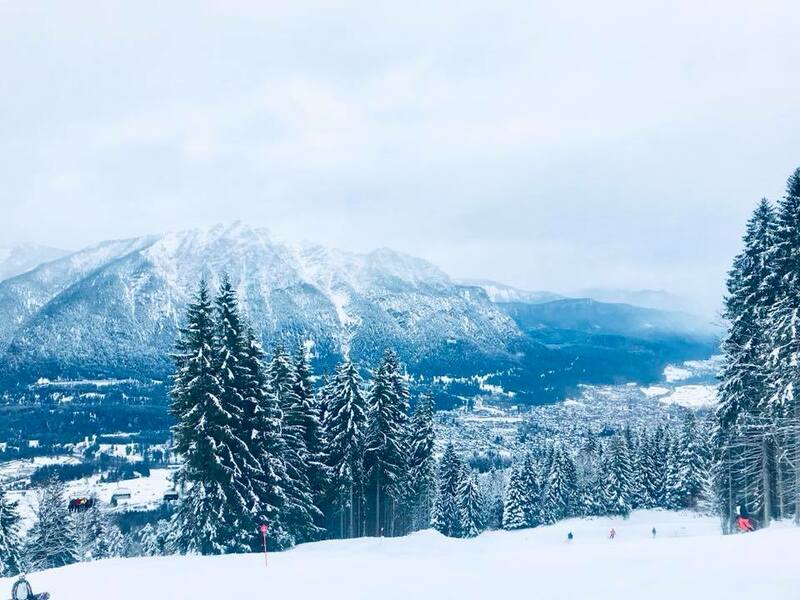 Had fresh powder at Zugspitze in Garmisch. Also, the first time skiing with my wife which was interesting. She's a true beginner. She was having fun, despite falling a bunch, but her feet kept going numb and it wasn't the cold. There's something with her boots which is disappointing because we both just bought new equipment. Every 1-2 runs, she'd have to sit in the snow and completely unbuckle her boots and slide her feet out for a bit. Hopefully, she can break them in a bit but I think I need to adjust the buckles so she can make the instep buckle a little looser. I really enjoyed the Rossingnol Sky 7 HDs I picked up. They seem like a really good all mountain ski. They are last season's model so I got them for 60% off. I can finally participate in this thread instead of reading/looking in envy. 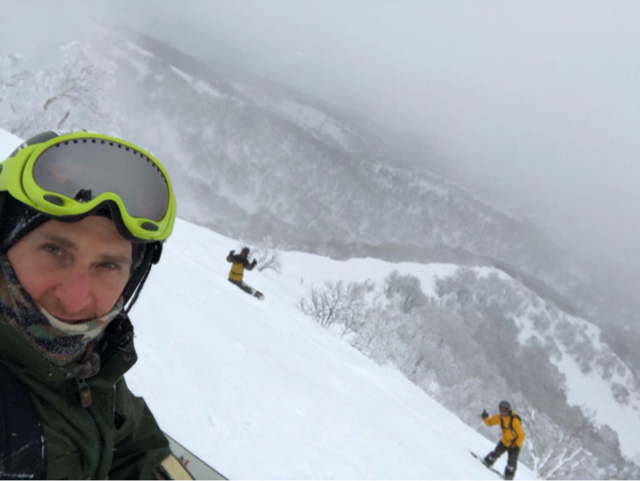 First weekend of the season down, it snowed the whole time we were here (Niseko - Annupuri and Moiwa, if anyone knows them), which made for one good day, one great day, and one epic day as the pow just kept getting deeper. Looks fun. 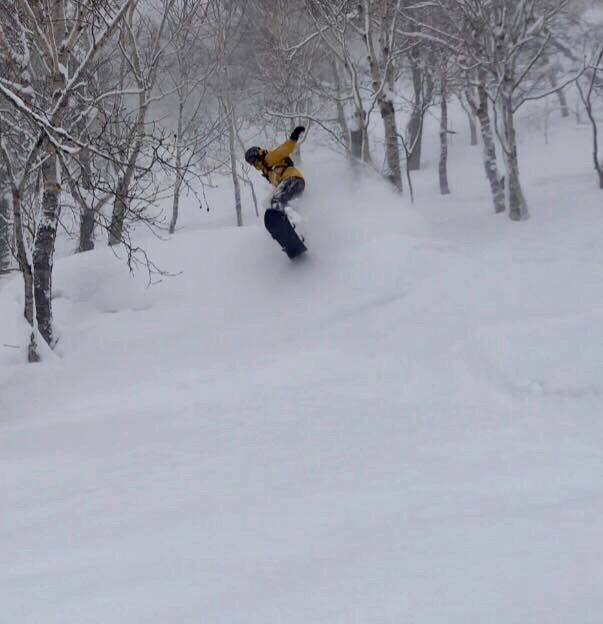 I want to ski Japan. 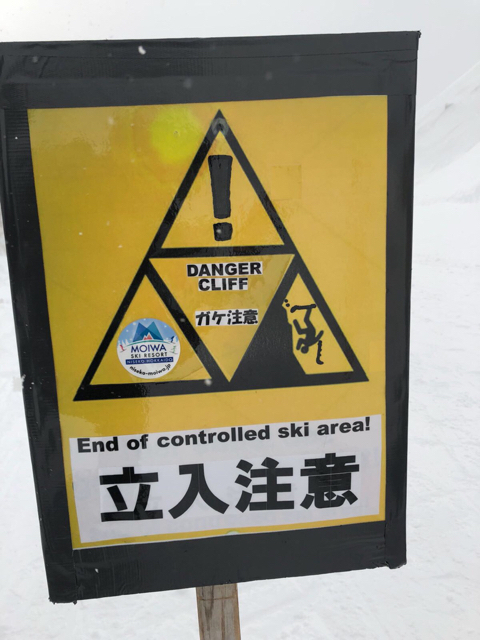 The guy on the cliff sign looks very mangled. Went up to Folgaria today. The snow wasn’t great but it was a beautiful day and it sure as hell beat a day in the office. Where are you living? 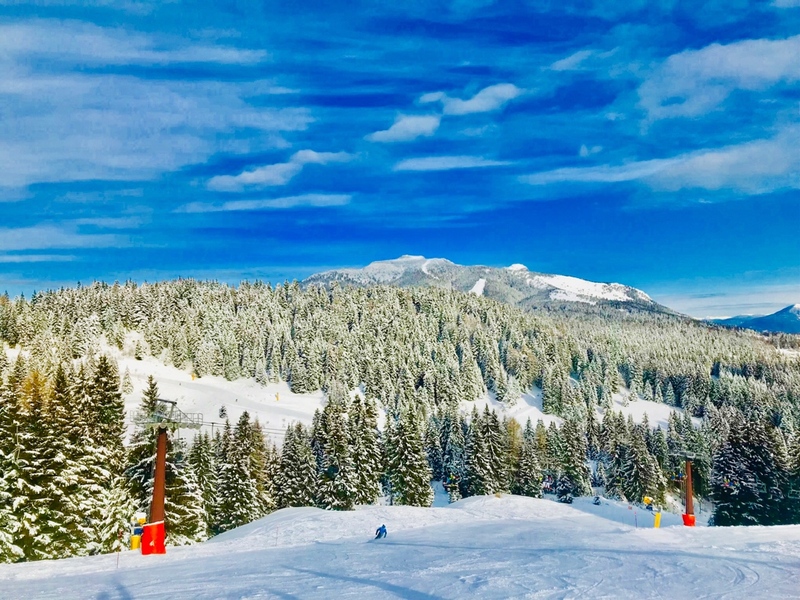 I went to Folgaria almost every weekend winter 2015-2017. Vicenza. Maybe we could have been neighbors if I got here earlier. We certainly could have. I PCS'd from there in June. My favorite assignment by far and best three years I had so far as well. Enjoy it, and let me know if you ever need anything. I've got a fair amount of local connections and my wife is fluent in Italian. Awesome, thanks! We’re enjoying it. Unfortunately, our orders are only for two years so I have to get as much skiing in as I can. That being said, hit up Cortina yesterday and today and it was phenomenal. Got out early this morning to make first tracks. 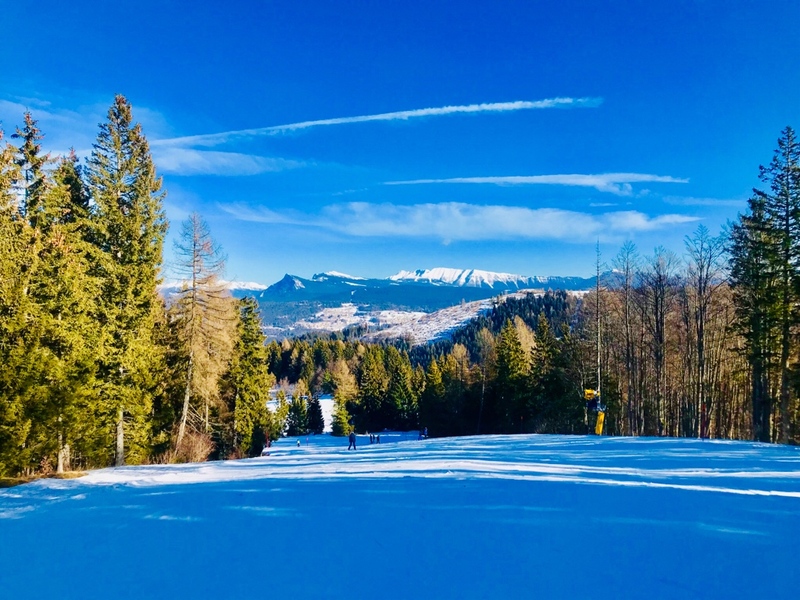 Another weekend in Folgaria. Didn’t really ski much but I completed my validation for basic ski patrol. It’s a lot of hands on emergency care. This weekend we brought in the added challenge of snow a (slight) slope and ski gear. To become an alpine patrol, I just have a couple more weekends of ski skill evaluation and toboggan training to be a full on alpine patroller. So, basically, I can treat emergencies on the mountain but I can’t transport people yet. I started this training in August so it’s nice to finally complete all the medical training and testing. Since December I’ve spent more time as a race dad than a skier, but the kids are getting a lot better and I at least got to race a slalom last week. 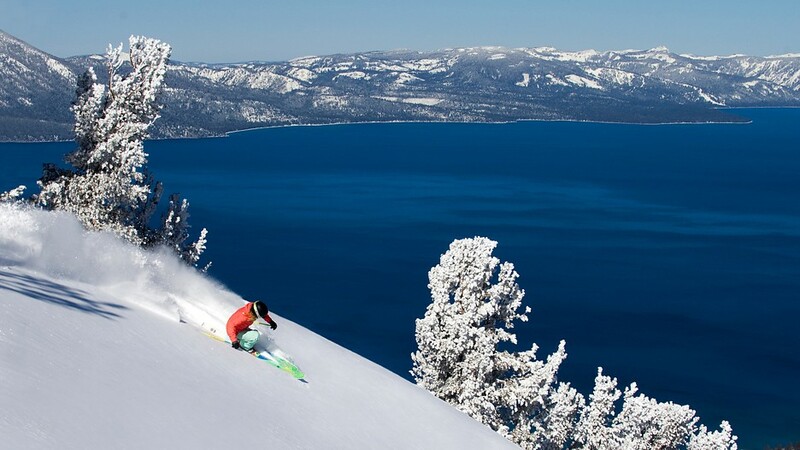 Hoping to play hooky for the next mammoth storm and hit the real stuff. Can anyone comment on conditions in Southern VT right now? We're headed up there to Mt Snow in a week and a half. They have good snowmaking but my impression is that there isn't much in the way of natural stuff right now. 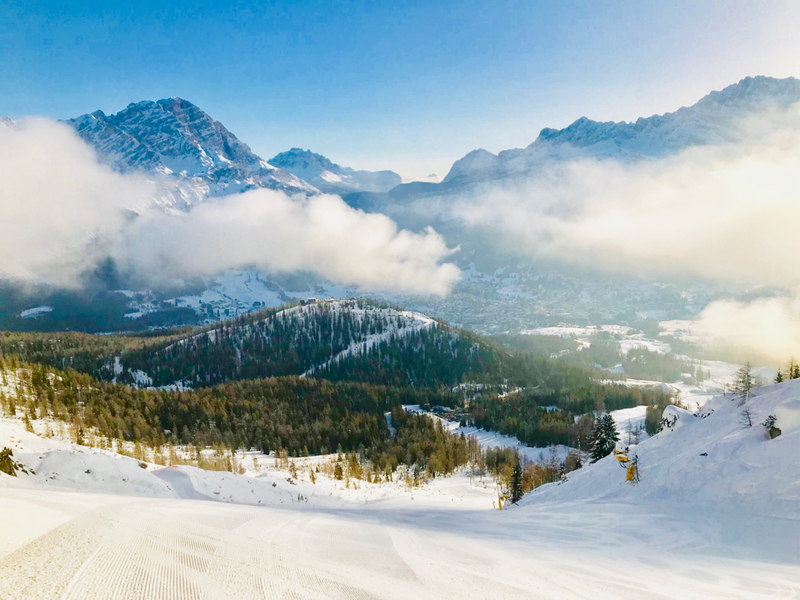 Hit up Kranjska Gora this past weekend in Slovenia. Fourth country in which I’ve skied this weekend. In the negative column: conditions were suboptimal, it was a 3 hour drive, and my snowboarding buddy took my legs out from under me on the slope and I scrapped up my face on the snow/ice. I have this scabby spot on my chin that I can’t shave which probably makes it look worse. Anyways, better than being in the office. Fourth country in which I’ve skied this weekend. That is one hell of a weekend. Ok, that was a screw up. 4th country this season. I’m still at stage 1 in the concussion protocol so I shouldn’t even be looking at a phone screen. Got some fresh pow in Folgaria. Plus assisted in my first emergency as a ski patroller (just traffic directing but still nice to help). Bunch of snow getting dumped on Vermont the last few days and especially tomorrow. We had decent conditions last weekend at Mount Snow, but it will be as good as it gets there the next few days. 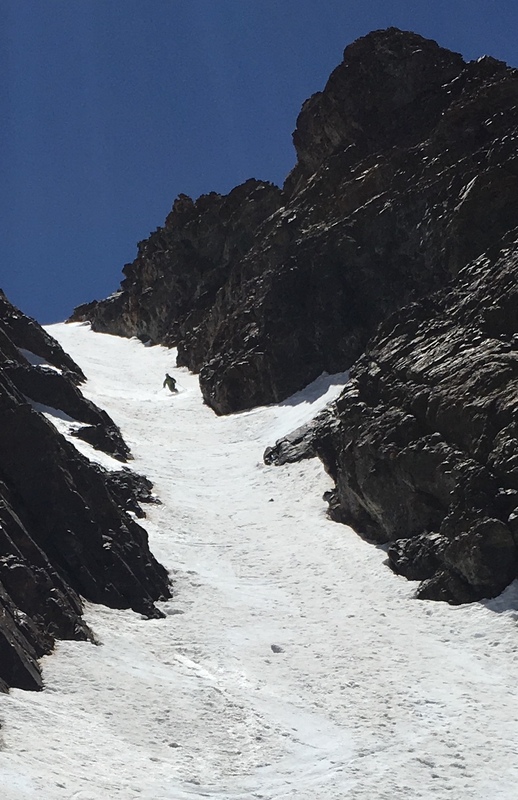 Backcountry snowpack has been very dangerous due to early season weather. I saw a photo in nearby N. Idaho last month where there had been a 6+ ft. fracture line, which is a massive slide. But I don’t go out there much myself the last few years. I heard on the radio recently that our local snowpack is at 131% of average so far this year. Almost anywhere in the PNW is having at least an above average year. Massive in-bounds avalanche at Mammoth today after 5 feet of snow fell over the past three days. Luckily it looks like no one was killed, but three people were partially buried and the mountain is closed. 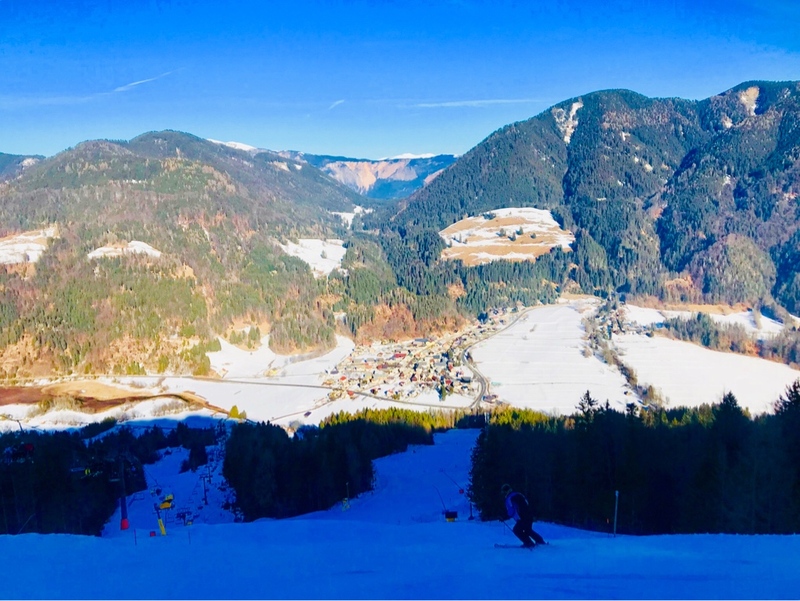 Great weather at Bichlbach, Austria this weekend. I was able to validate as an Alpine Patroller after receiving my basic Patroller status earlier this season. So not only can I patch you up on the hill, I can load you in a toboggan and get you to the bottom. Anyways, this weekend was probably my last chance to validate Alpine. Glad I don’t have to wait until next season. Other than being nice to your fellow humans, what perks does that get you? You make it sound a bit momentous. Well, it’s a lot of training to become a ski patroller. 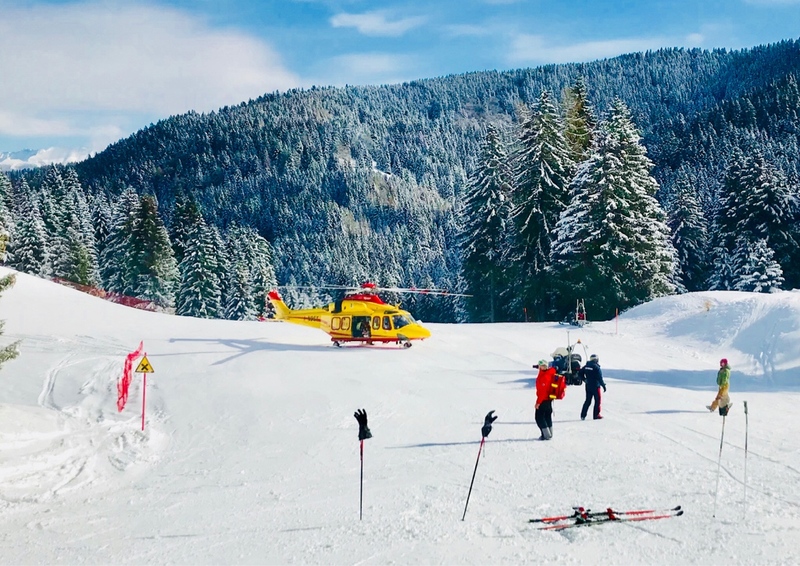 I’m part of the European Division of the National Ski Patrol (NSP). So, when I go back to the states, my credentials transfer, assuming I keep up with my annual refresher requirements. I can join a patrol near where I live. Being a member of the NSP, you can get great deals on ski and outdoor gear through their website. Plus, you get to wear that cool red jacket with the white cross on it. Usually, when patrolling on a mountain in the states, you get a free lift ticket (even if it’s not your mountain). Here, we just get some ticket discounts. 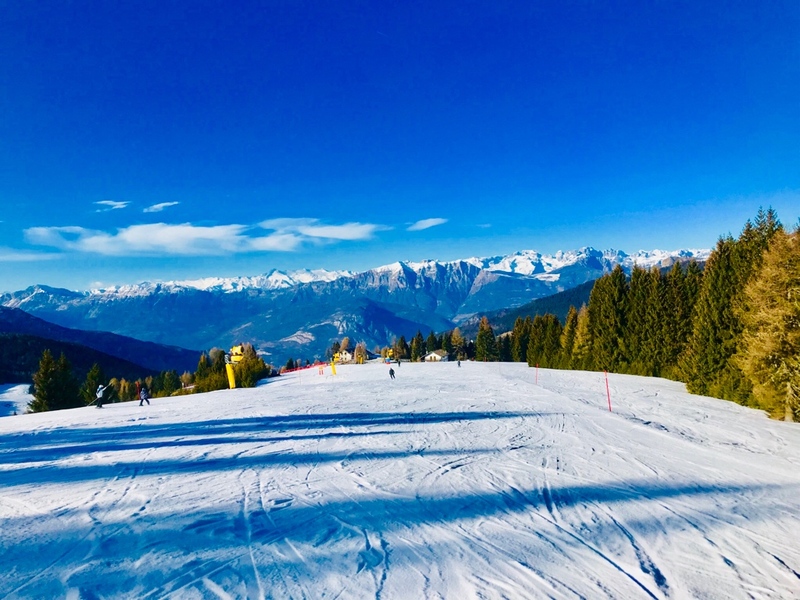 Not sure if it’s momentous but I started training in August and most people take 2-3 seasons to validate alpine (depending on resort protocols). I was lucky to be able to pick up extra trainings with other patrols and knock it all out in one year. After a pretty weak year everywhere outside the Pacific Northwest, March has really come in strong. I know Vermont has the best powder it’s had all year right now, and out here in LA the local mountains had their first real dump of the season. Was up with the kids for a race but it was postponed and we hit the trees. Meanwhile, Mammoth is getting basically five foot storms every week. Other than the unusually high avalanche danger, conditions are fantastic. We’re heading up there for spring break next week. Yikes. WA hasn't had quite as much snow as last year, I think, but we had 6 avalanche deaths in week at the beginning of the month. Coming from the Northeast this still blows my mind a little. 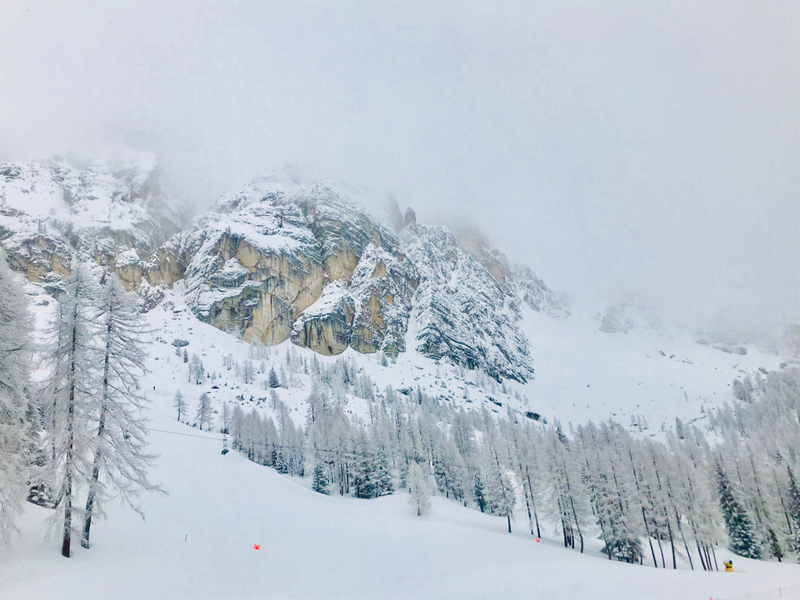 Last weekend, the wife and I hit Cortina d’Ampezzo. Saturday was a really nice day but the warm weather made for some slushy conditions and some super fog at the top of the mountain (where there was actually decent snow). Temperatures dropped and it started to snow in the afternoon and evening. Sunday was pretty good with some more snow but Monday was fantastic. We were at the lifts when they opened at 8:30 and we saw maybe 15 people on the mountain until 10:30 when more started showing up. But we never had to wait in a lift line, which was awesome. 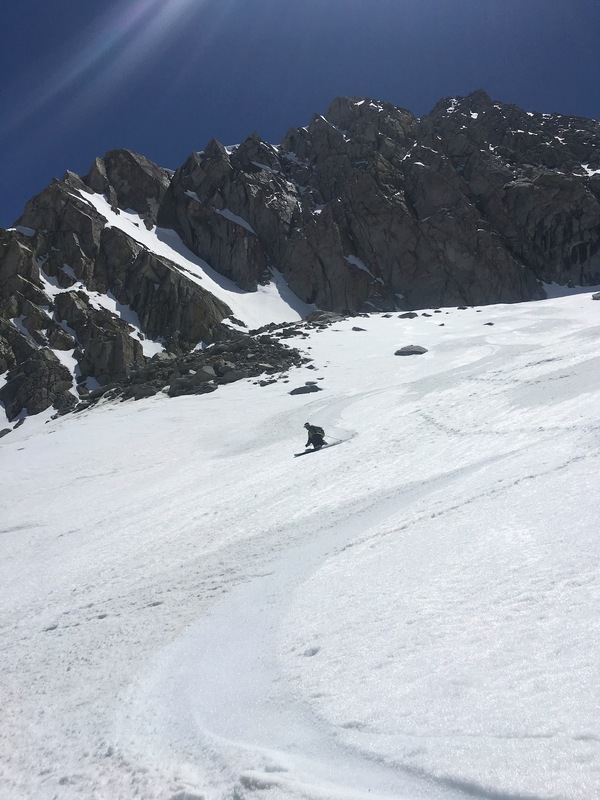 Another great spring day yesterday on Bloody Mountain near Mammoth. Might be the last of the season for me, but it was a great finale. 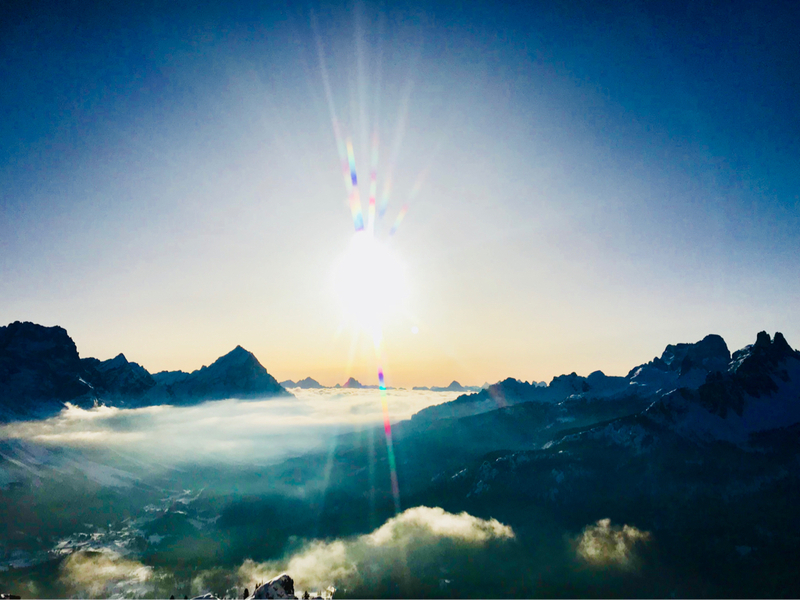 View attachment 21292 Another great spring day yesterday on Bloody Mountain near Mammoth. Might be the last of the season for me, but it was a great finale. I need to move out West, SMH. I was also hot on the traveling to S. America train, but I got a somewhat earlier than expected visit from Mr. Stork, so that's not likely happening.